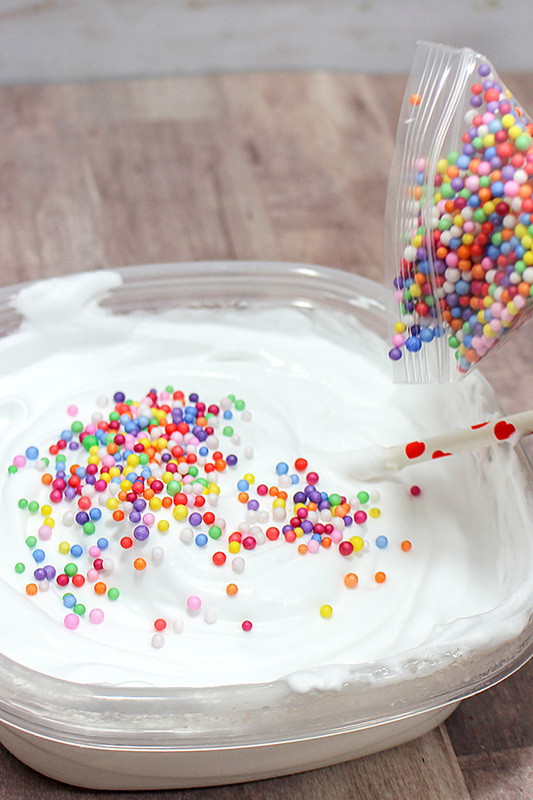 Looking for a fun, new sensory slime to try? Look no further! 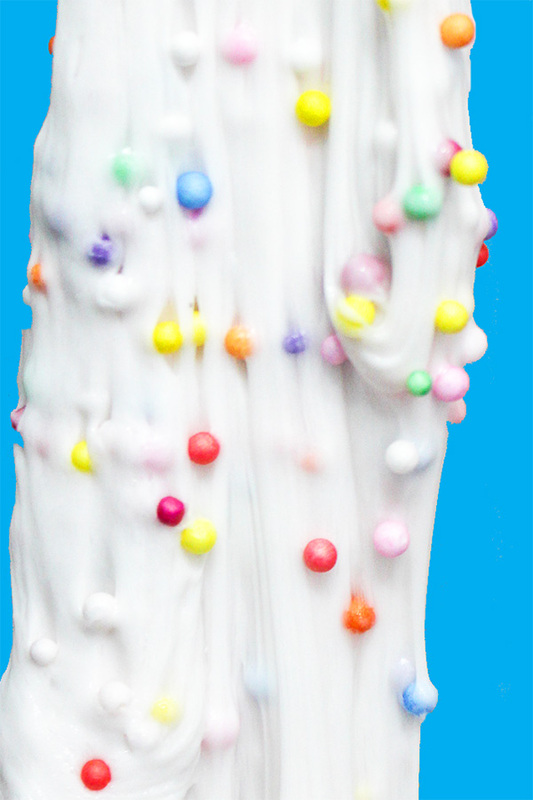 This scented rainbow floam takes crunchy slime to the next level! It’s colourful, smells great and the crunchy sound is really cool! 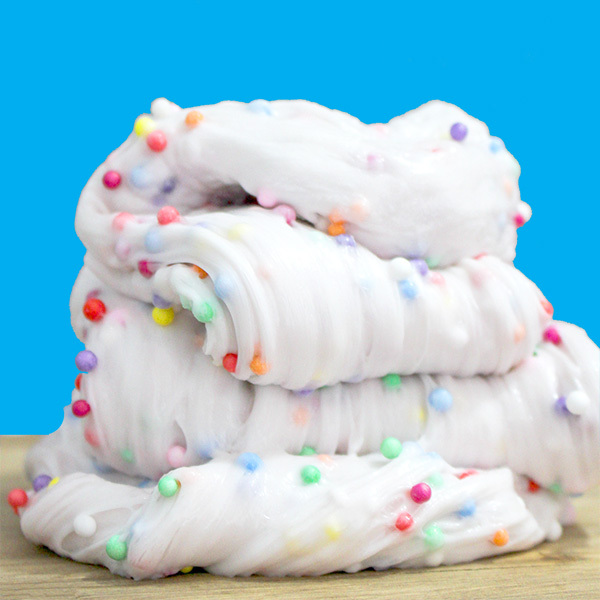 If you haven’t tried making crunchy slime before, you should also check out this super easy fluffy floam slime recipe (it’s based on our all-time favourite fluffy slime recipe). Who wouldn’t be tempted to play with this delicious smelling rainbow! RELATED: Check out this super fun purple monster Halloween slime recipe. As always, we strongly recommend that an adult measure and handle all chemicals used when making slime and close adult supervision when young children are playing with slime. 1. In a bowl, measure out 1 cup of white glue. 2. 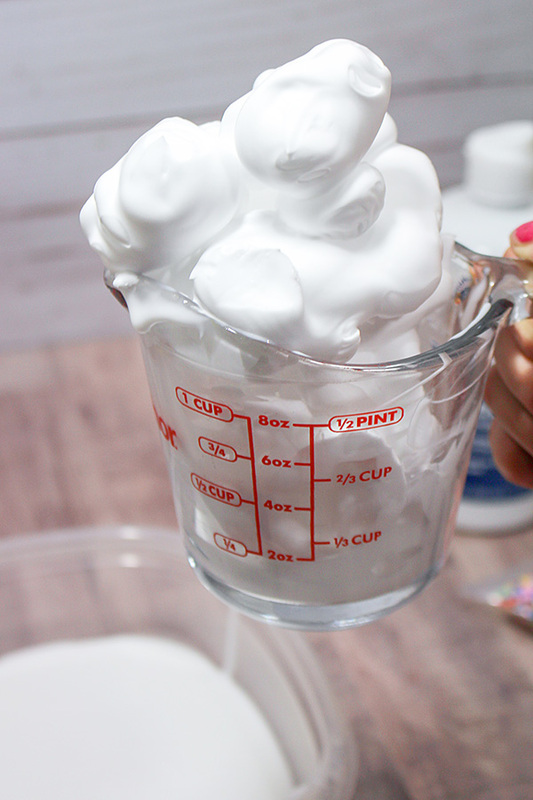 Add 1 cup shaving cream. 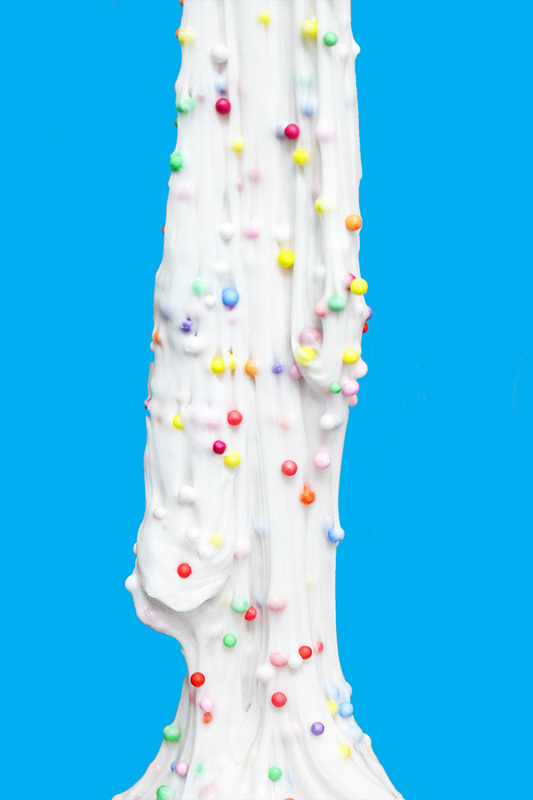 Shaving cream is a bit funky to measure but a little extra won’t hurt. 3. 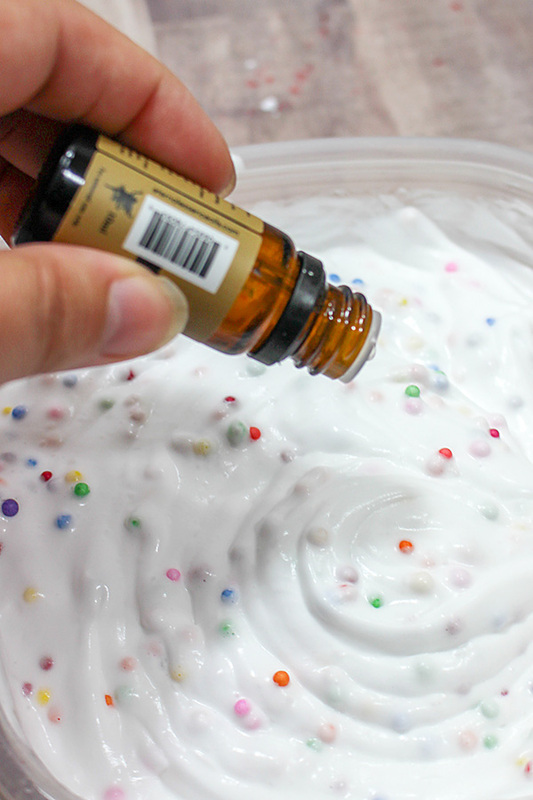 Mix together and then add 1 cup of foaming hand wash.
4. Mix well. 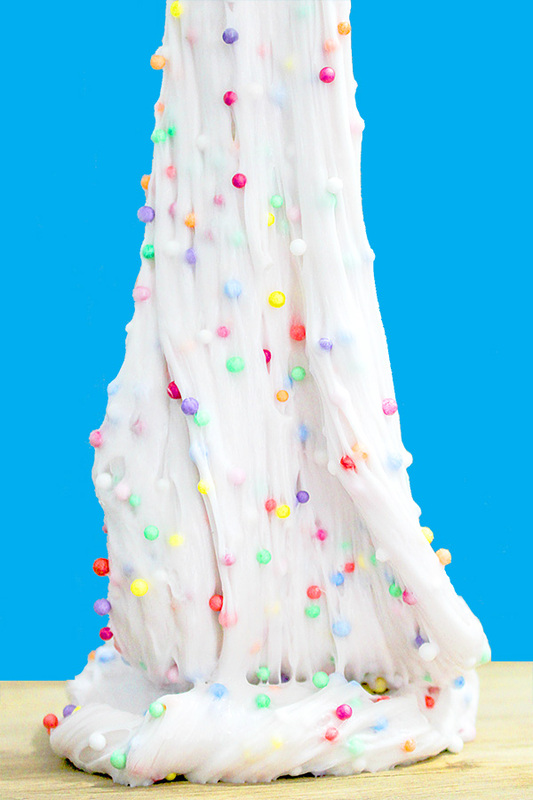 Your slime should be super foamy. 5. 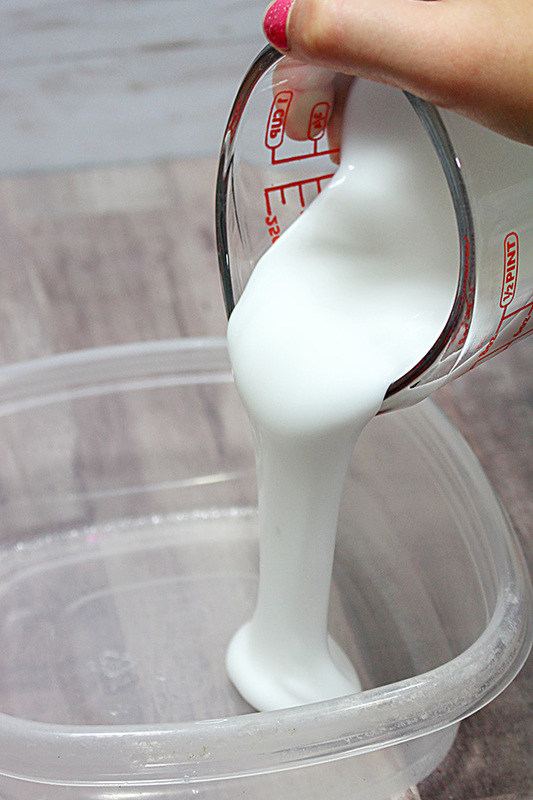 Add in 1 tsp of cornstarch and about 1 tsp of body lotion. These will help your slime stretch and make it nice and fluffy. 6. Pour in the rainbow foam beads. 7. Drop in a few drops of vanilla oil. Your slime will smell delicious. 8. Next add in ¾ – 1 tsp of baking soda. Start with ¾ of a tsp and add more during kneading if you need to. 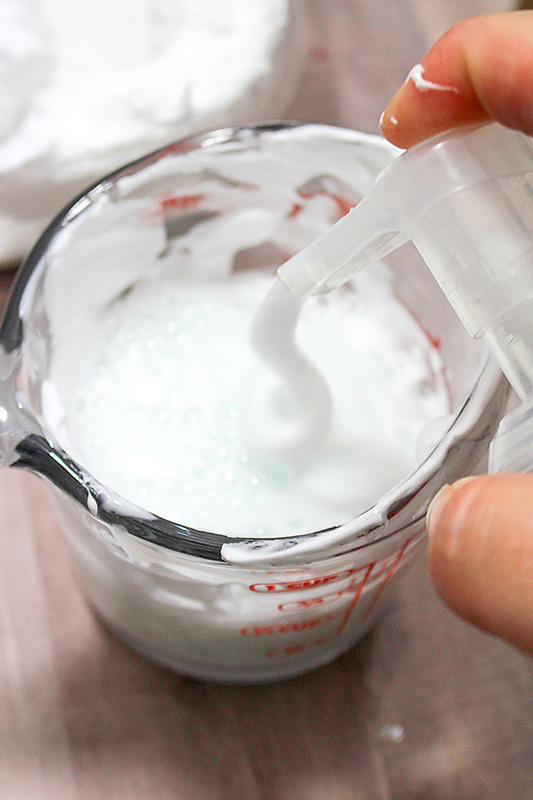 Baking soda is what will thicken your slime up. 9. Finally, add in the contact saline solution. Start with 1 tbsp. If you need to add a bit more, add as needed. Saline solution makes the slime less sticky. You will know you have enough when the slime pulls away from the side of the bowl.